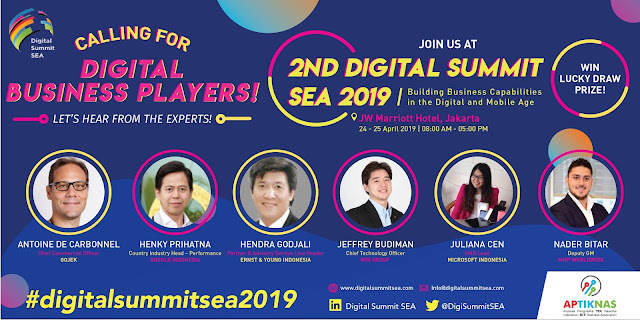 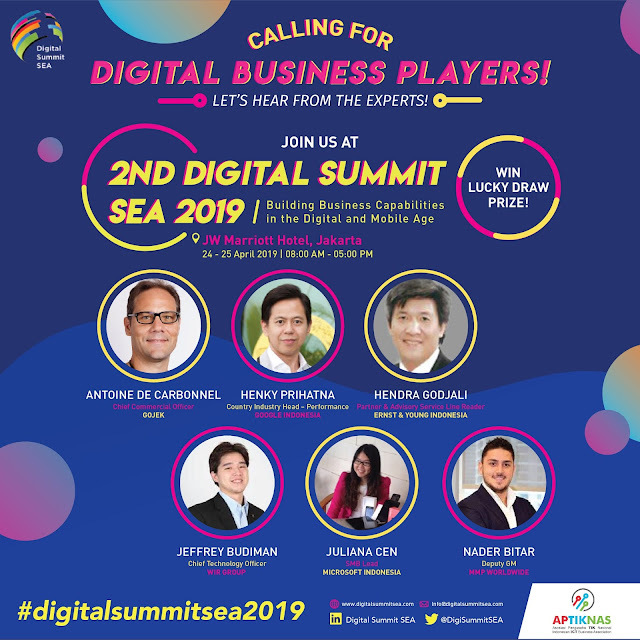 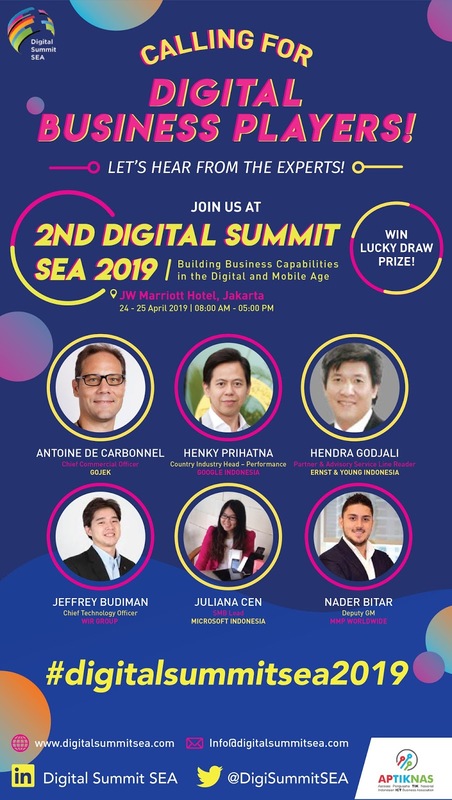 The 2nd Digital Summit SEA 2019 is a grand gathering of 500 Business Enterprise and Start-ups focusing on building business capabilities. 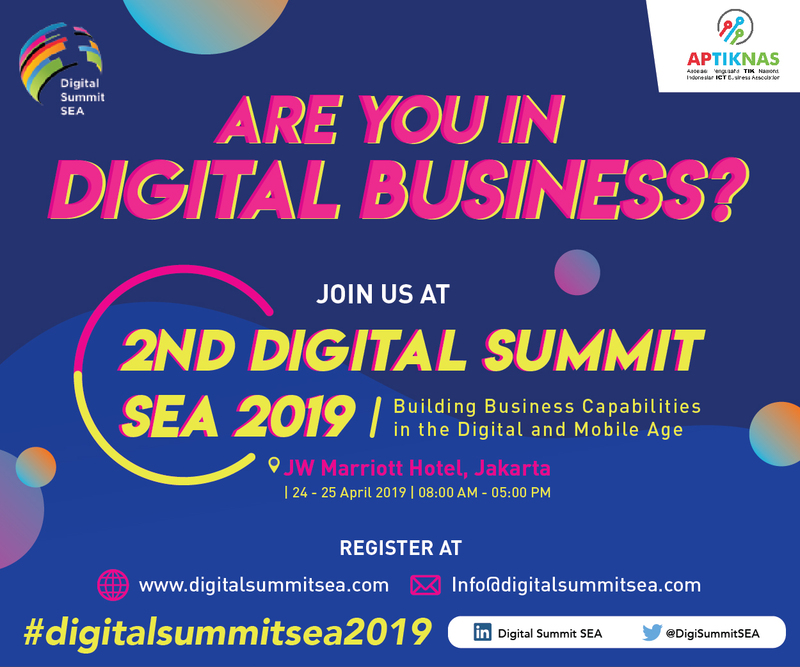 It is an invitation for the C-levels, Decision Makers, MDs, Global Directors, Heads of Digital IT, Ecommerce Manager, CMOs, Marketers, Data Analytics, Technologies Companies and Digital Transformation with responsibility for the Indonesia market. It is – ideal for Business Enterprises – MNCs, SMEs, Start-ups seeking to transform their business strategies for new profit opportunities, operational efficiency, increased customer satisfaction and improved business performance of digital related services to discover latest innovation. Selected renowned speakers from GOOGLE ASIA PACIFIC, MICROSOFT INDONESIA, OCBC NISP, KG MEDIA, PT ERNST & YOUNG, WIR GROUP, YCP SOLIDANCE, MMPW DUBAI, PERX TECHNOLOGY SINGAPORE and many more.